Pune : An infant girl died at KEM Hospital after she was allegedly refused treatment by a prominent hospital for her heart condition, apparently over the issue of payment in demonetised currency notes. However, Ruby Hall Clinic, where the girl was to be admitted for heart surgery, refuted the claim made by her relatives that their request to accept at least part payment in defunct banknotes of Rs 1,000 and Rs 500 was turned down. A close relative of Amrapali and Gaurab Kunte, parents of the deceased girl, said the doctors had advised them to admit her in Ruby Hall Clinic for heart surgery. However, when we went to Ruby on Saturday morning, the billing department gave us quotation of Rs 3.5 lakh and told us to deposit the same before any treatment. “We then offered to make Rs 1 lakh payment in demonetised notes of Rs 500 and Rs 1000. 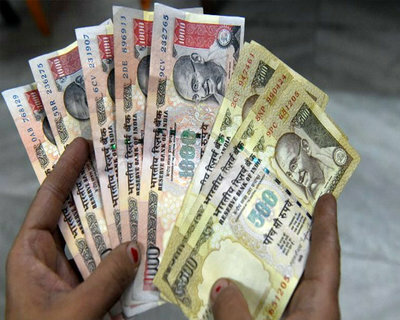 However, the hospital administration refused to accept these notes,” claimed Sudhakar Gawandgave. He said her parents even offered to pay part payment through cheque and cards. “When they (Ruby Clinic) turned down the demonetised bills, we offered them that we would pay Rs 1 lakh through current cheque and Rs 30,000 through card payment and requested them to allow the remaining payment through another cheque, which needs to be deposited in bank on Monday,” Gawandgave said. He alleged that the hospital administration turned down their offer and instead demanded full payment which he said resulted into wastage of golden hours. “They made us run from pillar to post to admit the girl. Had she been admitted to Ruby Hall Hospital, the golden hours would not have been wasted. “The infant girl, who was in ICU at KEM, had to put on ventilator support and died early Sunday morning,” Gawandgave said. When contacted, Dr Sanjay Pathare, Director, Medical Services, at Ruby Hall Clinic, refuted as “baseless and false” the claims made by the relatives. “Firstly, at Ruby Hall Clinic, patients in critical condition are never denied admission. In this case, the baby never reached the hospital and died at KEM. “There is no question of demonetised notes as I have got the information that the billing department told them to bring the infant to the hospital and pay whatever you have, but we have no idea after that conversation, who did they approach and who misguided them,” he said. Pathare said that in emergency situation there is no question of money as the priority is always given to treatment. In the wake of demonetisation, the Maharashtra government has directed private hospitals to accept cheques from patients in case of emergencies. The hospitals can face action if the patients are denied treatment for want of cash.